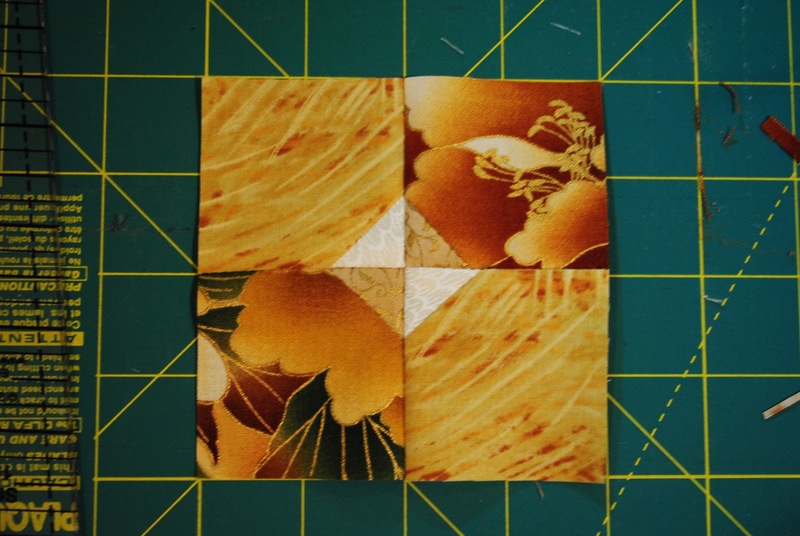 I spent this past weekend creating some more of one of my favorite blocks, Yosegi kaku to sankaku, from "Japanese Quilt Blocks" by Susan Briscoe. It is for a challenge project and I wanted to create blocks in a variety of specific sizes. Unfortunately, often by the time I assemble this block, it is not quite square which is really critical in this project since I am intending to applique the blocks to a background. 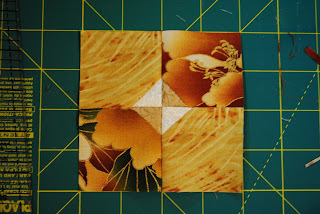 My solution was to allow an extra 1/4 in border on each side of the finished square (i.e. 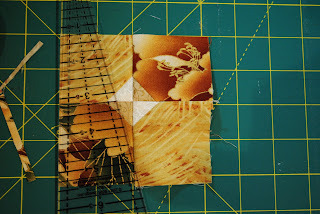 : make a 4 1/2 in square rather than a 4 inch square.) . 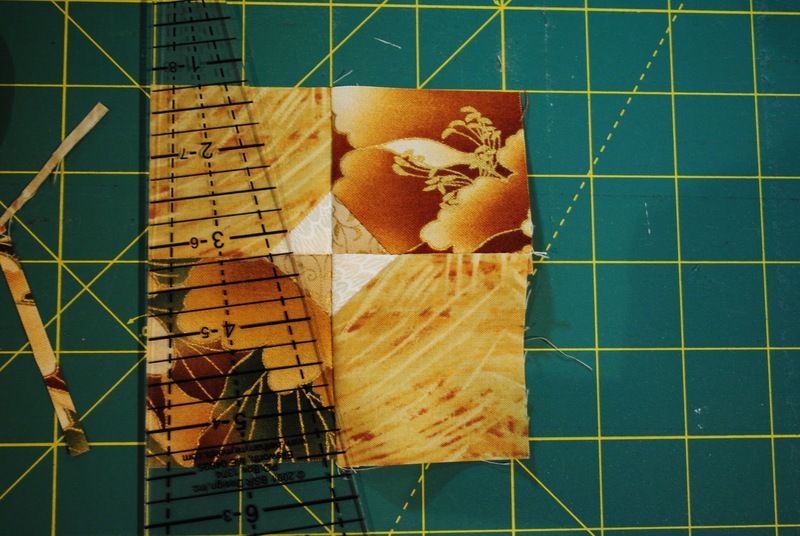 I then lined the center seams of the square up with intersection lines of the cutting mat and trimmed the four sides to have exactly two inches from the center axis on each side. 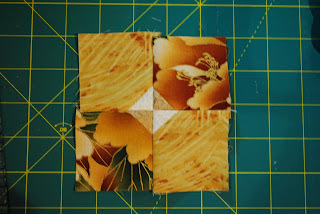 The result is a beautiful 4 inch square ready to be appliqued. 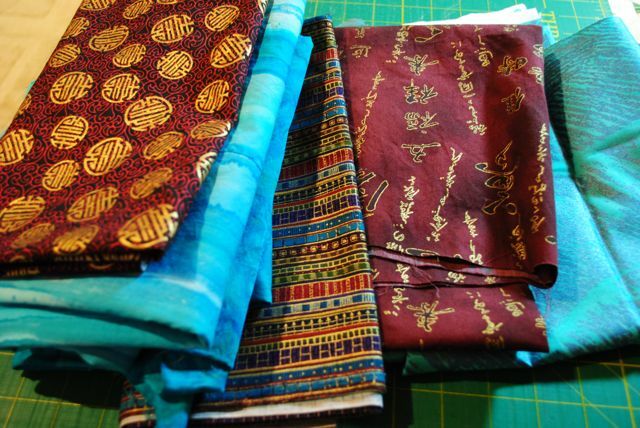 When I wasn't working on my Yosegi blocks, I was gathering fabrics for another project. I also completed another "Comfort Quilt" for my local guild. 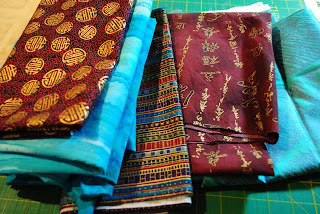 One of my personal goals for my Vision Project with SAQA is to create 10 quilts before September 2011 for charity. 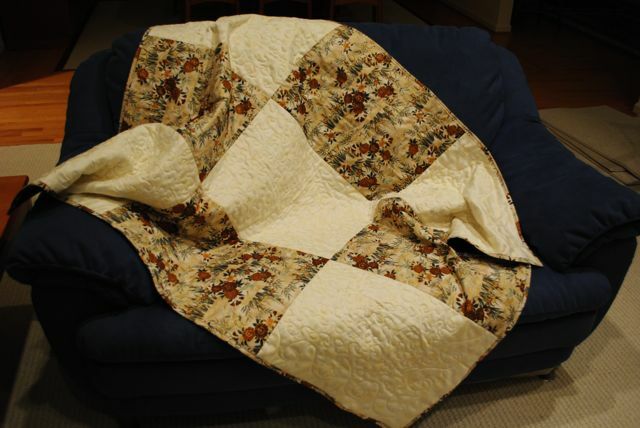 I am on my second Comfort Quilt and now have it ready to hand in at our October meeting. Thanks for the suggestion, Carol. I will check that out.